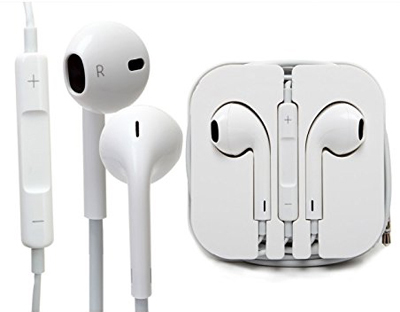 These are just like in terms of looks and quality the 3.5mm EarBuds that were sold by Apple! Compatible with iPhone SE 5,5S,5C,6,6S that have the 3.5mm headphone jack. Great quality! These feel and sound just like the earbuds that came with your iPhone. Stereo sound:It has perfect stereo sound quality, enjoy full listening comfort with soft, snug earbuds that conform to your ears,bring you the perfect audio enjoyment. Built-in Mic and Remote Control:Hands-free microphone and remote control allow you to easily answer calls, end calls, volume control, play music. Any issues within 1 year, send them back for a full refund.